seems like a bookworm huh? so adorable. adore to your boots so much! hey kak! lama bgt aku gak buka blog kaka dan wow ! udah banyak banget postingan baru. btw, outfit kaka lucu, persis kayak seragam2 luar negri gt. and become member. THANKS A LOT!! !I'll follow you! Would you like to follow each other so we can keep in touch? Cute look - this style really flatters you. Thanks for your sweet comment:) I follow you as you suggested so please do the same:) Keep up the great posts! Is that Dr Martin shoes? awwi love your sweater and your hair really amazing! Definitely like the outfit! bookworm chic. Gr8 blog :)....Wanna follow each other with GFC, Twitter and Facebook ? and i likee your hair! Wow so cute!! Love the braid. 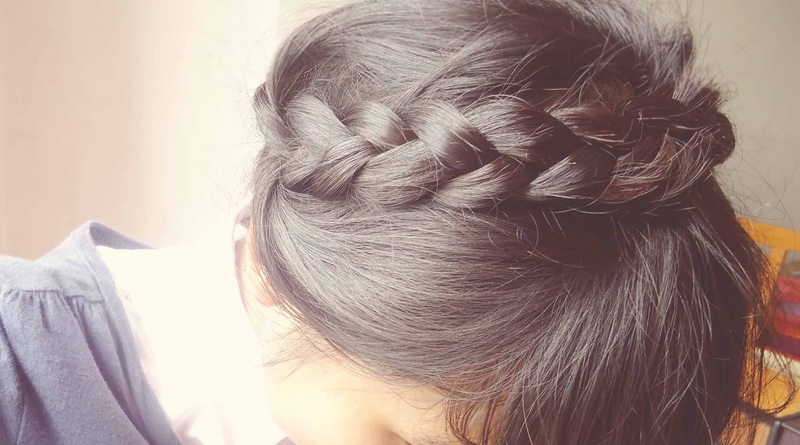 love the braid! so cute! Love your blog. Great posts. I followed you on both, GFC and Bloglovin. I hope that you like my blog and follow back on both. OMG you look so cute!!! and you're so pretty! great to discover your blog! omg! me love your style and you look pretty! u did it you self ? so pretty ! i am following you now hihi. 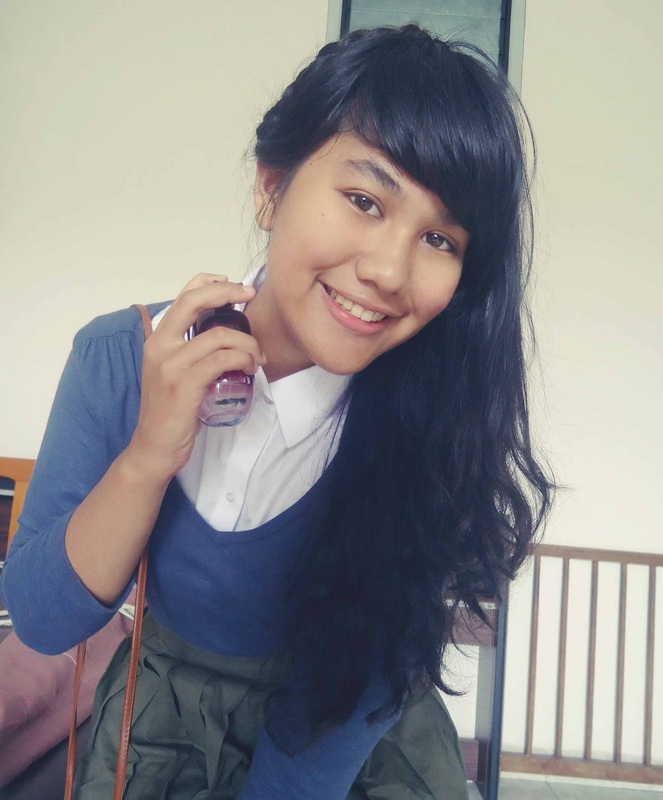 you know this is the first time i visit your blog and you are so beautiful. no wonder you have a lot of followers on twitter and your blog, you are so pretty dear. lovely outfit, and you are the most beautiful bookworm i have ever seen. 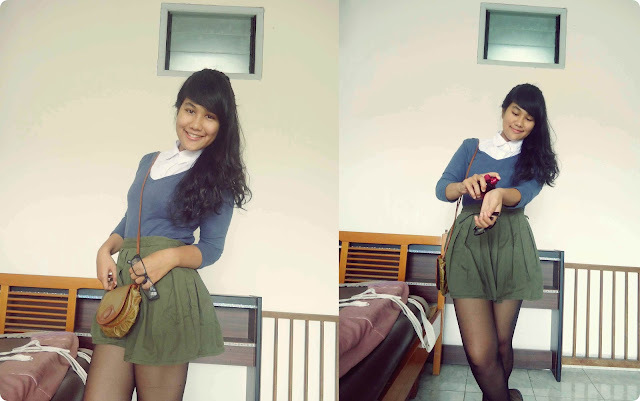 love the way you style the shirt and sweater, and how you tucked them into the skirt, so lovely! and your braids hair is soooo cute. you are definitely beautiful. i cant stop saying it! dear wanna follow each other? i will be so glad if you dont mind to.